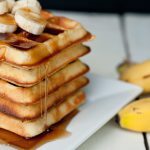 These keto waffles are low carb and totally hold a great structure, which is super important in a waffle! 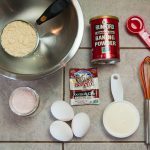 They are made with a few simple ingredients including almond flour, heavy whipping cream, eggs, salt, stevia drops, xanthan gum, and baking powder. The baking powder helps the waffle acquire the well known fluffy texture. Keto low carb waffles come out crisp, fluffy and can be paired with any number of toppings! I also included an easy Pumpkin Waffle Recipe since it’s fall here in Oregon!! Let’s get one thing out there right now. I LOVE ME SOME BREAKFAST! When I was growing up and mom would say “hey, how about breakfast for dinner” I would literally get giddy. That meant fluffy pancakes or crispy waffles paired with warm syrup, eggs and of course, bacon! My mom and I would normally do breakfast for dinner when my dad and brother were gone hunting so making breakfast holds awesome memories for me, maybe that’s why I love waffles so much? We would dance around the kitchen and just have fun cooking together. Now, being a mom myself and hearing that my mom lets my daughter flip the pancakes when she has sleepovers makes my heart melt a little cause I know she is getting those same memories as well. And my girl looooves her some breakfast too, so well done mom 😉 It’s still a toss-up if Alayna like my easy banana muffins more than pancakes, but I’m just happy she likes both low carb versions. When my husband and I started out on our Keto journey it was a huge goal of mine to find a recipe for low carb waffles that I could still enjoy, for any meal. Trying quite a few different keto waffle batters lead me to see that most of them, while they tasted great, were so soft and floppy. I needed a recipe that would hold up to the toppings I wanted to add. The recipe below does JUST THAT. It is soft, yet strong and I love it! A Belgian waffle has deeper pockets which are the biggest difference between them and an American-style waffle. 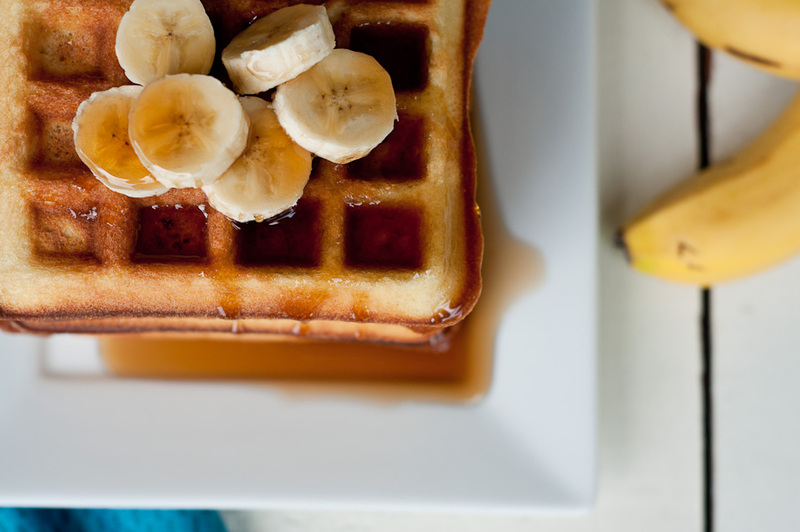 This makes a Belgian waffle excellent for holding tiny little pools of syrup and their texture is lighter and crisper. 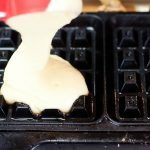 So it really comes down to the waffle iron you are using. To get a Belgian waffle you need an iron with a deeper, larger grid pattern. 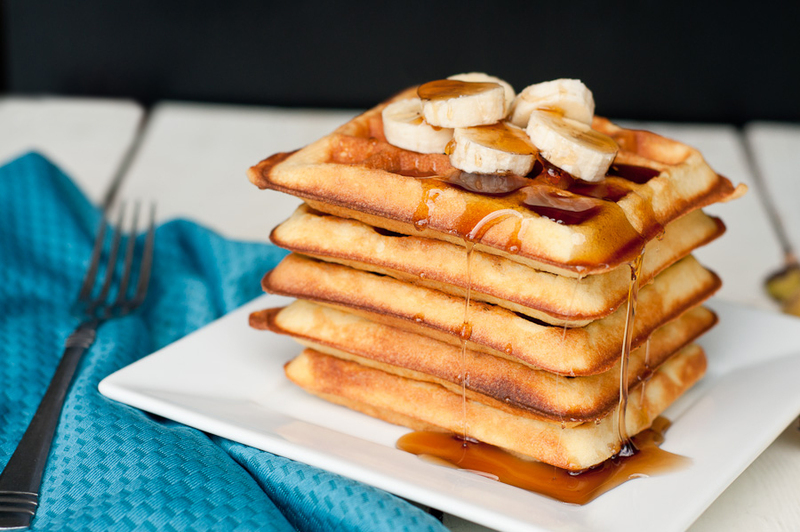 Can you use a pancake recipe for waffles? I am going to go with a hard no here. People do it and to each, there own but trust me, I have tried it. I have eaten pancakes made from waffle batter and waffles made from pancake batter. But they each are unique in their own way. A pancake is a golden brown on the outside, but it is also floppy and soft. They have fewer eggs than a waffle so they are more cake-like in consistency. Waffles, on the other hand, are crisp on the outside and light on the inside. This happens because they are made in an hot-oil covered metal waffle iron. 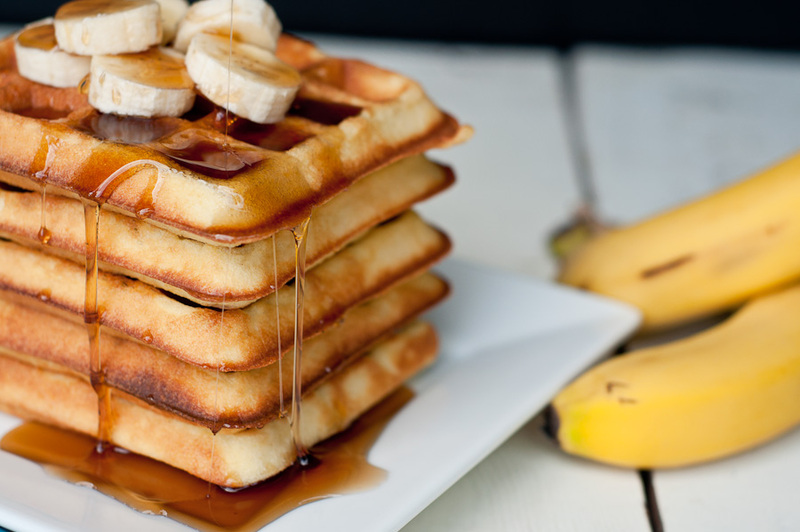 You might think that waffles are not the healthiest option for breakfast due to them being topped with syrup, butter, whipped cream and maybe fruit. But you can make these choices work for you while doing the low carb/keto lifestyle. Such as choosing a syrup with little to no sugar. I use this and love it. The maple honest syrup is my fave because I grew up on Mrs. Buttersworth and this brand is thick, just like that one. My husband likes this one because it is more like traditional maple syrup and very thin in consistency. While on keto we all know that butter is totally ok and is even considered its own food group! We use Kerrygold grass-fed butter from Ireland. It’s the BEST in my personal opinion. Then we can not forget our dear friend, HWC (heavy whipping cream). We use this in our coffee, in most of our baking and most definitely to make whipped cream for our waffles! As far as fruit goes, pretty much all berries are ok so top those waffles with your faves and call it good! 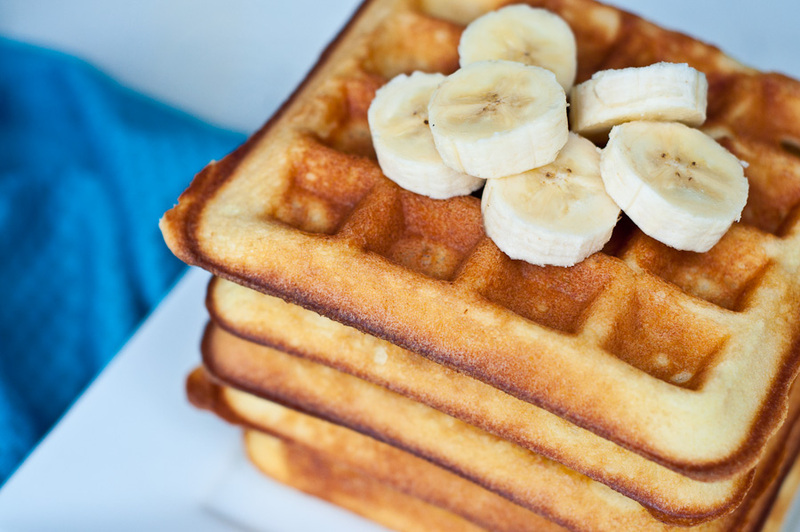 Most of these additions will increase the waffles healthy fats and add in some vitamins from the fruits. You’re also getting fiber from the almond flour so overall the nutritional value of a waffle can be pretty good for you, while on keto. How do you keep waffles warm? When you’re cooking for a group and want to make sure everyone has a nice hot waffle, here is what you can do. If you do not have a warm setting on your oven, preheat it to 200°F. Place a cooling rack on a cookie sheet. Once the waffles come out of your waffle iron put them directly on the cooling rack and into the oven. When you do this you are allowing the hot air in the oven to circulate around the waffle, which will keep them nice and crisp. If you put them directly on a cookie sheet with no cooling rack they can possibly cause the bottoms of the waffle to get a little soggy. And nobody likes a soggy bottom. I love breakfast and could sit around and gab about it all day. It is legit my favorite meal. And don’t even get me started on how much I love brunch! Ha! So stack these keto waffles high, or eat them one at a time. Don’t forget to tell me how you prepare them, what toppings you add and what memories you’re creating while making them. These keto waffles are low carb and totally hold a great structure. 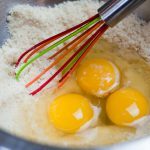 They are made with a few simple ingredients including almond flour, heavy whipping cream, eggs, salt, stevia drops, xanthum gum and baking powder. The baking powder helps the waffle acquire the well known fluffy texture. These keto waffles come out crisp, fluffy and can be paired with any number of toppings! 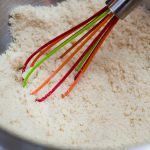 In a large bowl, mix together the almond flour, baking powder, salt and xanthan gum. Crack eggs and add all three to the dry mixture along with the avocado oil. Mix the eggs and oil into the dry ingredients. Your badder will look a little chunky. 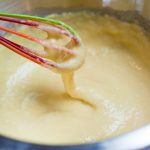 Pour in 1/2 cup of heavy whipping cream and mix. Feel free to add more if you like your batter thinner. Once your waffle iron is hot, spray with a little non stick coconut spray or wipe a bit of oil on the iron with a paper towel or basting brush. 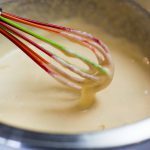 Pour about 1/4 or 1/2 cup batter into your waffle iron. The amount you pour in will be determined on the side of your iron. You do NOT want to overfill your iron, prepare for a mess if you do so. I cook my waffles for about 5 minutes. If your iron has a timer, use that to judge the cooking time. In a large bowl, mix together the almond flour, baking powder, xanthin gum, salt and the cinnamon, ginger, nutmeg and clove spices. Add three eggs and avocado oil. Mix. Pour in the heavy whipping cream, pumpkin puree and sweetener. Mix. 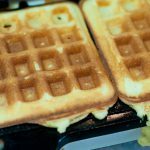 Pour about 1/4 cup of batter into your waffle iron, The amount you pour in will be determined on the size of your iron. You do NOT want to overfill your iron, prepare for a mess if you do so.